The three-tier panchayat elections in West Bengal which have just concluded, has led to an unprecedented situation. The entire election has been marred by widespread attacks, intimidation and rigging. Thousands of candidates were prevented from filing nominations. In many places opposition candidates were prevented from conducting their election campaign among the people; the polling process was vitiated by widespread rigging, prevention of people casting their votes and violence against opposition candidates, their polling agents and supporters. The run-up to the panchayat election saw determined efforts by the Trinamool Congress government to subvert the polling process itself. It required the State Election Commission going to the High Court and eventually the Supreme Court to get a decision to have a five-phase polling (against the wishes of the state government) and the direction to deploy central police forces along with the state police. Despite these verdicts, the TMC government did everything to undermine these decisions. The Chief Minister Mamata Banerjee herself declared that central police forces need not be deployed. Shockingly, ministers in the government publicly threatened the State Election Commissioner and warned her of dire consequences. Defying the court order, the central police forces were not deployed at the polling stations with a few exceptions. In the run-up to the elections, there were widespread attacks on the Left Front and the opposition. Around six thousand CPI(M) and Left Front candidates were physically prevented from filing their nominations. This led to a situation wherein for the Zilla Parishads in Hooghly, out of the total of 50 seats, the Left Front could not file candidates in 10 seats. In 6191 seats in the three-tier panchayats, TMC candidates were declared elected unopposed. During the campaign, TMC ministers and leaders made the most provocative speeches inciting violence against all opponents. No action was taken against them. All through the campaign Left Front and Congress candidates were attacked, their campaigners including women beaten up and injured. During the polling which began on July 11 and concluded on July 25 what was witnessed was a state-sponsored rigging of the elections by the TMC. In all the districts put together, a total of 4470 booths were completely or partially captured. For instance, in Burdwan district 909 booths, 750 in West Midnapur, 429 in South 24 Parganas and 400 booths in Coochbehar were captured. (See Annexure I). In many booths, polling agents of the CPI(M) and the Left Front were driven out after which stamping of ballot papers took place. In fact all opponents of the ruling party faced a similar situation in many areas. In many areas from the morning itself people were not allowed to leave their homes in the villages to go to the polling booths to vote. Hundreds of Left Front supporters and workers of other opposition parties were injured in attacks when they attempted to go for polling. Many of them have suffered serious injuries and have been hospitalized. Even some candidates to the three tier Zilla Parishad, Panchayat Samiti and Gram Panchayat were not allowed to vote in many places. Even two Members of Parliament, Mahendra Roy in Jalpaiguri district and Nripen Roy in Coochbehar district were prevented from voting. The state police which was stationed at the polling booths refused to intervene when attacks took place of workers and voters of the Left Front. In many instances, the police lathicharged or arrested those who were resisting the attacks or asserted their right to vote. In a planned manner, the central police forces were not deployed in many of the hypersensitive and sensitive booths. Despite the orders of the State Election Commission and the High Court directive motorcycle gangs were not stopped and were allowed to move freely to terrorise the opposition and the voters. Even on the day of polling these gangs threatened people from going to polling booths. 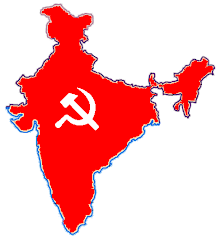 The violence during the election campaign and during the polling has led to the deaths of 24 CPI(M) workers and supporters. (See Annexure II). At no time has such a brazen attack and perversion of the democratic process of elections taken place in West Bengal or in the entire country. The results of such a rigged election can only be a distorted one. N.B. : Over and above the figure of captured booths mentioned in the list, a good number of booths were partially captured. In some cases, voters were not allowed to enter the booth or after two/three hours of polling the Left parties’ polling agents were driven out from the polling station and TMC people stamped on the ballot paper indiscriminately. In certain centres, after complaints were lodged with the State Election Commission or District Panchayat Election Officer, police intervention took place and polling resumed at the polling Centre.